You shouldn't be a prisoner of your own ideas. There is no greater hell than to be a prisoner of fear. A man may dwell so long upon a thought that it may take him prisoner. You feel like a prisoner if you don't create. You're jailed up inside of yourself. 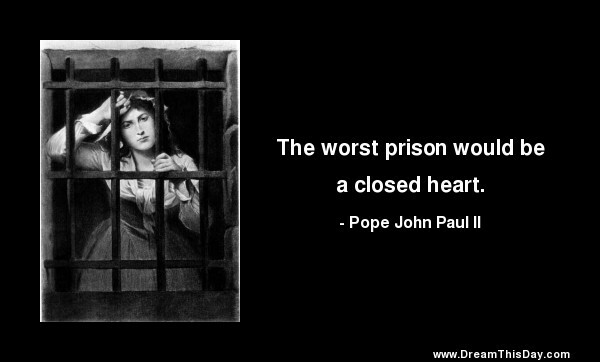 The worst prison would be a closed heart.